Are you planning on exhibiting in a trade show any time soon? If so, as we’ve written in our last two posts, you’ll get a lot better results if you plan well, and also if you include yourself in the invitation/traffic building process. 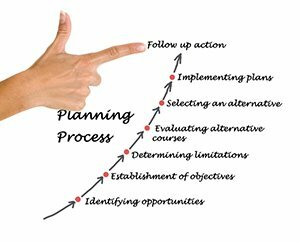 Beyond all of that, you’ll also get better overall results if your plan includes an effective follow-up process, because while there are usually opportunities to make immediate sales at trade shows, the greater value usually comes after the show, following up on leads that were developed there. One of the most common mistakes we see made in trade show planning is to not look beyond the show date itself. Lots of companies go to a show and get lots of leads, but never follow up effectively. Sometimes the sheer quantity of leads causes a sort of “what do we do with all of this” paralysis that results in a complete lack of follow-up. Instead, go into the show with a plan in place for both short-term and long-term follow-up. A good plan might be to send an immediate thank you letter to everyone who visits your booth, and then to assign each prospect to a salesperson for some sort of measurable, longer-term follow up. The bottom line is this, you want to make sure that you’re getting results from any marketing investment, and that’s what a trade show represents to your business. Goals and performance against those goals can and should be measurable…and measured! Another way to make follow up easier is to try to collect only more qualified leads. Just collecting business cards can make for a mountain of low value leads that are hard to sort through, while being pickier about whose information you collect will leave you with a more manageable number of leads that have some associated info and notes hopefully.